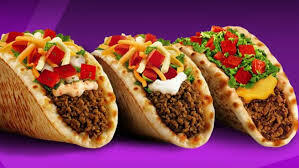 I have always loved Taco Bell. Those crunchy tacos…holy crap I could eat like 5 at a time. One of the items on the menu that always soothes my craving is a gordita. This morning we got to the suegras house early so that I could learn how to make some Mexican food with suegra. Just my luck, she was making gorditas (food, not actually little fat ladies). When she said this I got so excited. 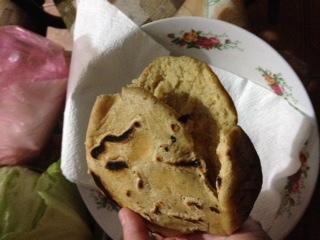 She got the masa de maiz (corn dough) and quickly showed me how to mold a ball into a thick looking pancake. This was not looking like Taco Bell’s version. My friends…taco bell is not real Mexican food. Don’t let them fool you. You want to then take the dough and set it on a tortilla warmer on your stove. Just let it heat up and cook. You will be able to tell when to flip it when the sides are turning brown and the gordita no longer sticks to the warmer. After we heated up the dough on the stove, suegra took a pancake thing and cut to, but not through the top of the gordita. She then pointed to the beans, cream, salsa, and lettuce that were on the table and told me to fill it up to my heart’s desire. Ok Taco Bell…see ya. This was so delicious and so moist! 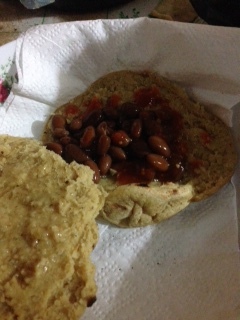 The gordita bread seriously melts in your mouth. You can fill it up with whatever you want. Meat, cheese, beans, veggies, cactus paddles, whatever you want! Sometimes, Abuelito will make these with banana bread dough. He won’t cut them through to add stuffing, but just eat them flat like regular bread. For reals this is the easiest recipe that I have found. We just went to the tortilleria and bought the dough. Add a little bit of water so it is a little sticky and mold away! Make sure that you are throwing the dough ball between both hands. The quicker the better. The ball will transform into a perfectly round, flat gordita. I would suggest buying the masa already made. Even the mexican ladies here do that. 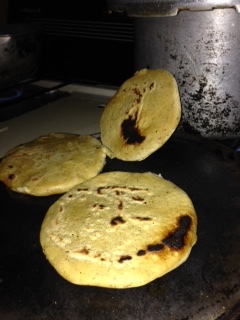 You can go to your nearest Tortilleria and just ask for masa de maiz. They will know exactly what you need. 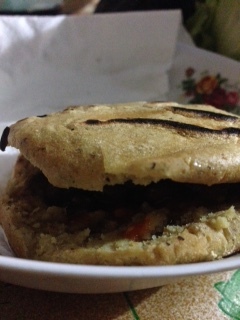 Enjoy your very own authentic Mexican Gorditas! I’ve got to try these! No on filling it up with cactus though. But it looks delish!